The new Aqua Grabber came out today. It’s pretty much like the old one with just different features. 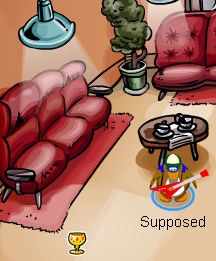 Leven 2 is extremely hard and I still can’t figure it out! If you do, tell me about it! Maybe you could help me out and even get featured on my site? 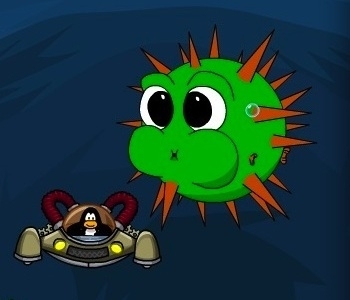 It’s going to be for the new updates coming to Aqua Grabber next week! Can’t wait to see what’s in store! Hey, Billybob has announced that the Coins For Change has gone to good cause – it went to global citizenship where you can look here. They made a video and everything! It’s pretty cool. 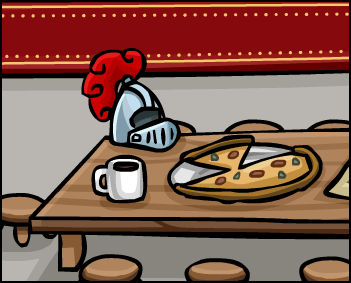 Go here for the club penguin medieval party cheats. All the times are PM. Hope you all can make it! I will be recording for my youtube, and also having some special guests coming! Hey! Here is a sneak peek of the upcoming party coming next Friday! I can’t wait! The times are PM Times, so in the afternoon they will start. I hope you all can make it! I will be recording and it’ll be a lot of fun! There will be some special guests as well, I will announce them later! By the way, don’t worry if you forget because I will post the party information in every post! Hey! I finally finished my video! It was really hard and I had to redo it a couple times cause there was a lot of glitches! I hope you like. The Twelve Fish stage is back. It’s all the same except you can get a player card. 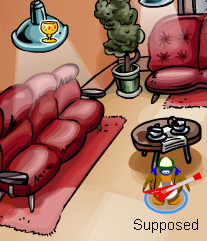 The new pin is in the coffee shop, to get it just move your mouse over it and it will fall. Club Penguin Being Slow & New Updates Coming Soon! Hey! A lot of you probably have noticed that you can’t get to some of the servers, it’s because there are still bugs going on and new features are coming soon! So they have to test those out as well.